This Guy From Islamabad Is A Pure Genius After What He Did When 10 Uber Captains Cancelled His Rides! We have heard many Uber stories, some good ones, and some bad ones. And it’s not just about Uber but Careem has similar cases. Both the companies have had their pros and cons, people on Twitter and Facebook sometimes go all happy about these transport companies and sometimes find it a hassle. There have been very bad cases from both sides, from the customer and drivers side too. Once there was a girl from Karachi who was almost abducted, the driver arrived at the pin location but behind him was a Vego with full of men. At the pin location where the girl was standing was quite abandoned. So, she chooses not to sit in the car and called her friend. She later posted about the incident on Facebook and people were shocked to know the details about it. And another tragic incident happened to a captain who lost his life, where the passenger gunned down the poor soul and no one got to know about the details of it. But forget about all! Look at this story of a young and his “Chalaki” will make your day! Here’s what he wrote on Facebook! “Today after college, for going back home I booked more than 10 Uber cars and all of them canceled my ride because G15 was very far from there. So no one wanted to go. After this I just changed my profile name from ‘Mohammad Hossain’ to ‘Fatima Hossain’ and then again I booked a car and the very first captain accepted my ride which was 9 mins away from me and he reached in just 4 mins and when he saw me he was astonished and shocked. He legit changed his name from Mohammad Hossain to Fatima Hossain! Mohammad rocked driver shocked. When we spoke to Mohammad and his experience about this hilarious ride, he told us that upon arriving the driver was looking at his face and kept asking him that this ride is booked by Fatima, right? And all Mohammad did was giggle sitting at the back seat! 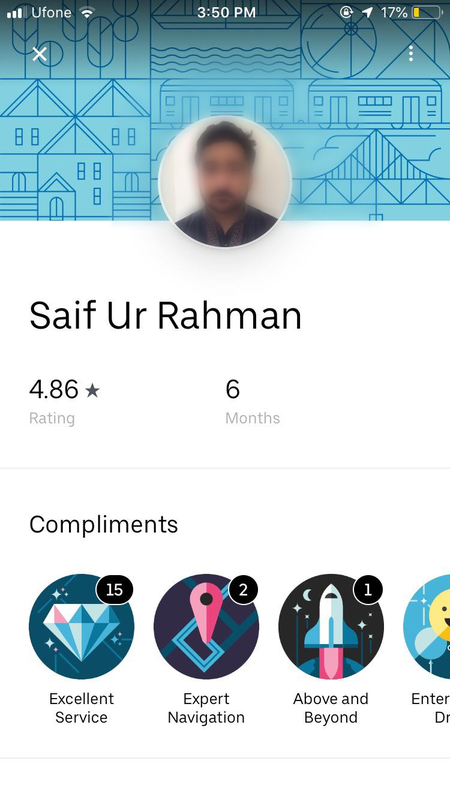 Here’s the screenshot he shared about his Uber captain! This boy just won the internet for the day. HE’S GETTING WORLD FAMOUS! Isn’t this just too savage? He knows his rides maayyynn! He knows his way out. Too fool around someone and still be cool about it, that’s not everyone’s play. Do you guys have anything to add to the story let us know in the comments below! Daily InfoTech: This Guy From Islamabad Is A Pure Genius After What He Did When 10 Uber Captains Cancelled His Rides!